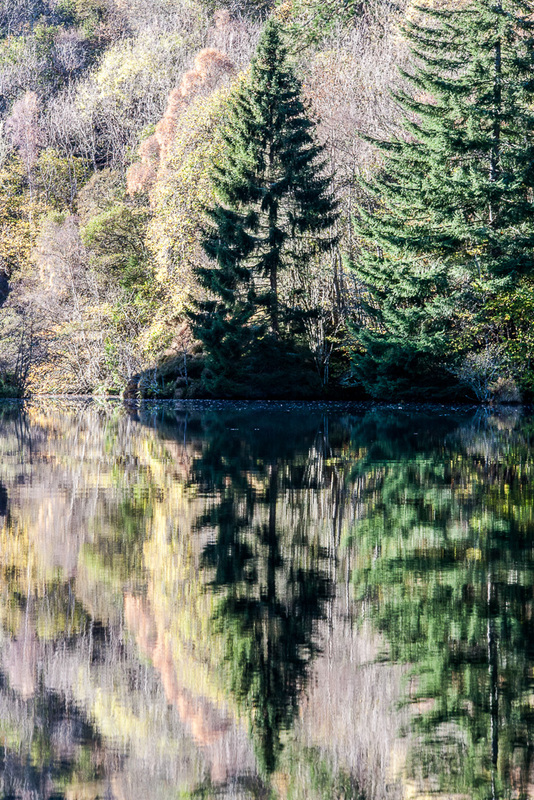 This was the last day of forecast good weather on my trip to Glen Affric. 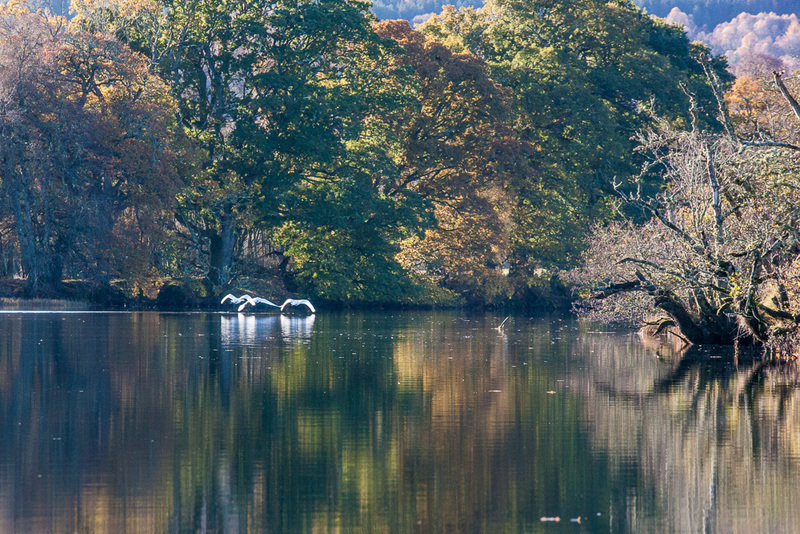 The following day was due to be windy and damp, not conducive to paddling and maybe not to photography either. 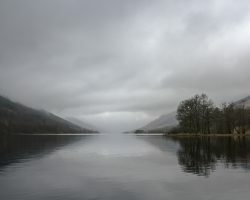 So I wanted to make the most of promising conditions, but was reluctant to return to the lochs I had already visited up in the glen, or take a chance with possibly strong winds on Loch Mullardoch high up in Glen Cannich. 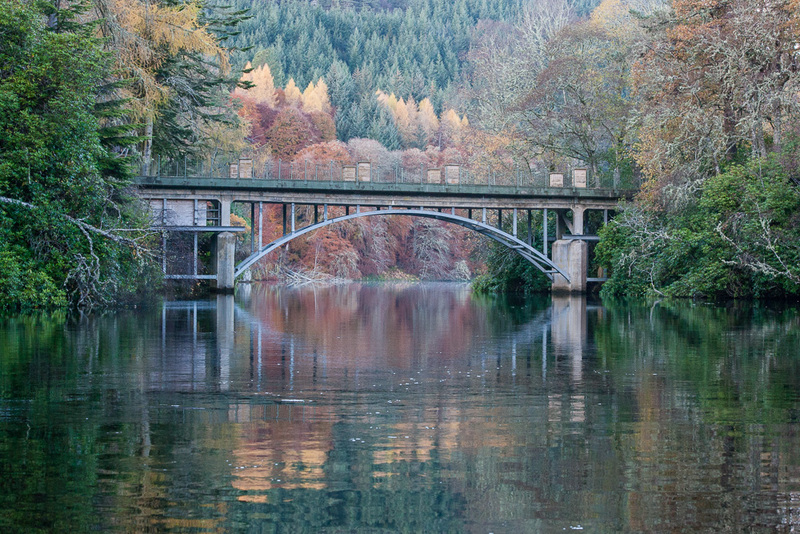 I had heard of the Aigas Gorge as being a pleasant trip on still water, so decided to a journey upstream from the dam for however far I could manage, then head back downstream to my starting point. 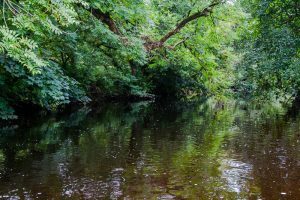 The River Beuly was unknown to me, so a journey starting upstream would ensure I didnt get washed onto any unpleasant surpises, and had the added advantage that the return leg would be assisted by what current there was. Beyond that, I had little expectation other than a gentle paddle in a new place. The day easily surpassed that limited ambition. From the carpark, a short but steep portage to the water immediately transported me to another world. 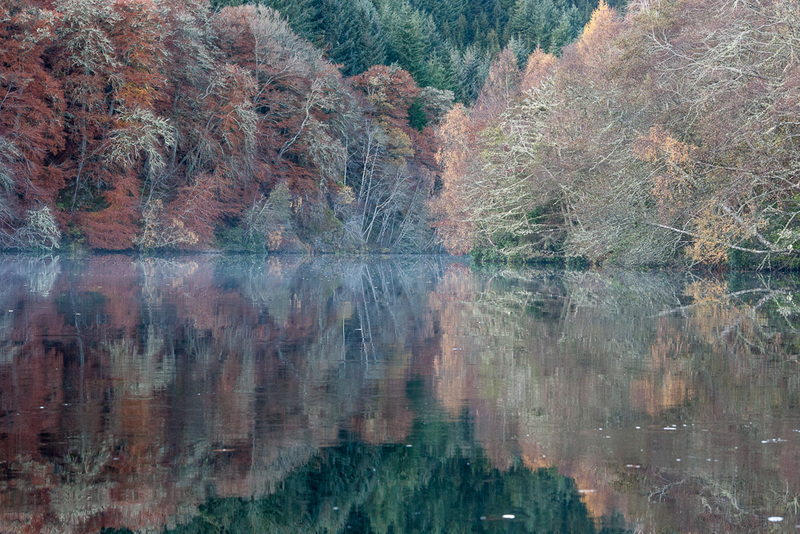 The place is a product of a hydro-electric dam, so just a few yards downstream was the barrier, with all its industrial paraphenalia, but all along the steep wooded sides of the gorge were trees in a blaze of autumn colour. Within moments of launching, I was captivated by the natural display around me. 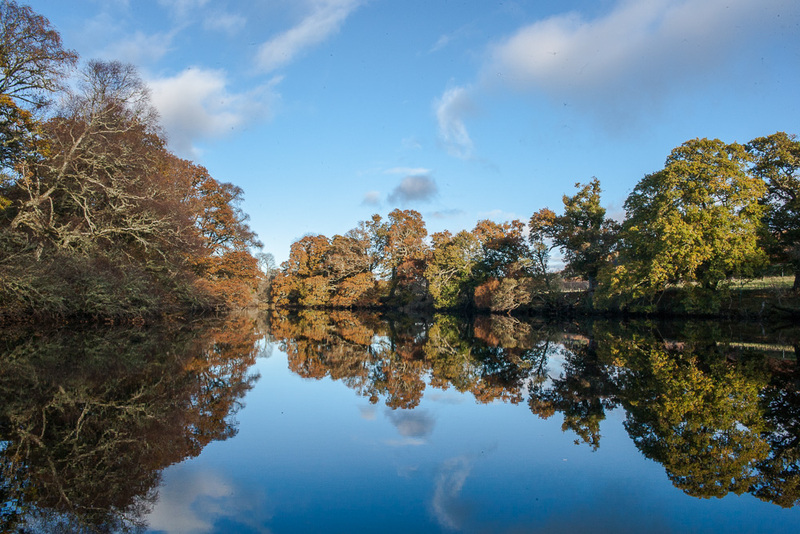 The strong, directional light brought out the colours of the foliage, and the water acted as the perfect mirror, glowing with intense reflections. With such riches on all sides, my hands spent more time on the camera than the paddle. It might be a slow paddle today! I spent a while just exploring the wooded edges of the pool I had put in to. I had always wondered about Homer’s phrase ‘wine-dark waters’ but now had a vivid demonstration of what he meant. I was afloat on a peat-black mirror that glowed with reflected light. Picking pieces of the kaleidoscope that communicated this intense richness to frame in the viewfinder was an act of discipline. It would have been all too easy to let my eye be overwhelmed and lose the sense of composition that lets a good image talk to its viewer. Back-lit leaves glowed with colour, while branches stood strong, almost in silhouette, to give some structure to the display. I love the echo of a rainbow sequence in this tree, hung on dark spokes spreading from the shadows. Aware that I had intended to do more than drift around a few square metres of water holding a camera, I made one more shot by the edge of the pool, and managed to tear my eyes and hands from the camera to start my journey upstream. 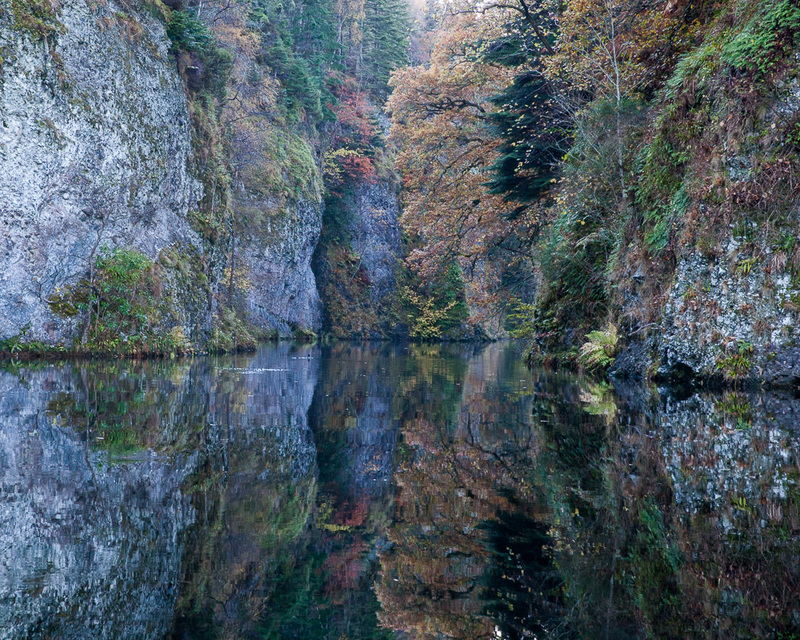 The Aigas Gorge is unlike anywhere I have paddled in the UK. 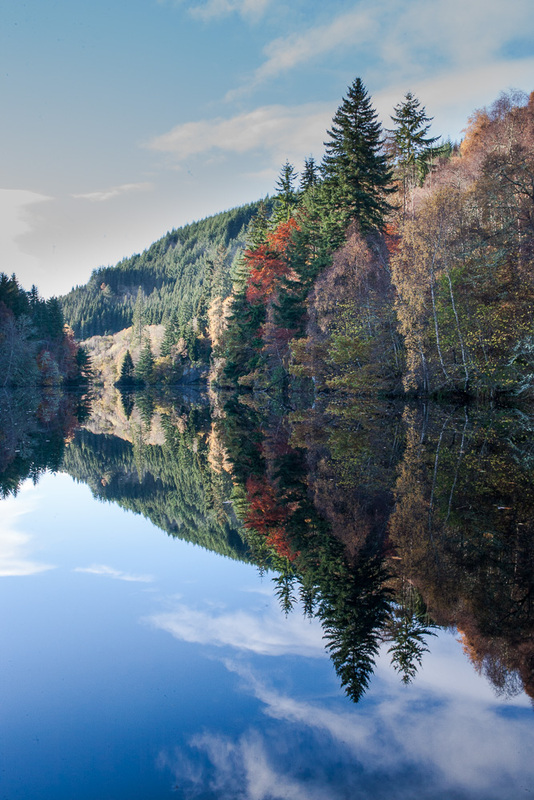 Man-made by damming back the River Beauly, still waters sit in a rocky wooded gorge that I was seeing in stunning conditions. It wasnt long before I put down the paddle again and reached for the camera. The narrow wooded pool that I had put in to soon opened out, giving a wider context of mixed woodland on either side of the river. 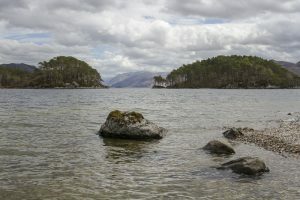 In the middle distance, the river narrowed by a craggy outcrop, and conifers crowded down to the water’s edge. 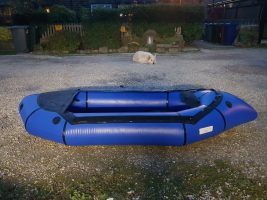 Maybe I’d paddled further than I thought – it looked like I had landed in Canada! The steep banks of the gorge left the east bank in deep shadow, while the opposite side was bathed in strong sunlight. 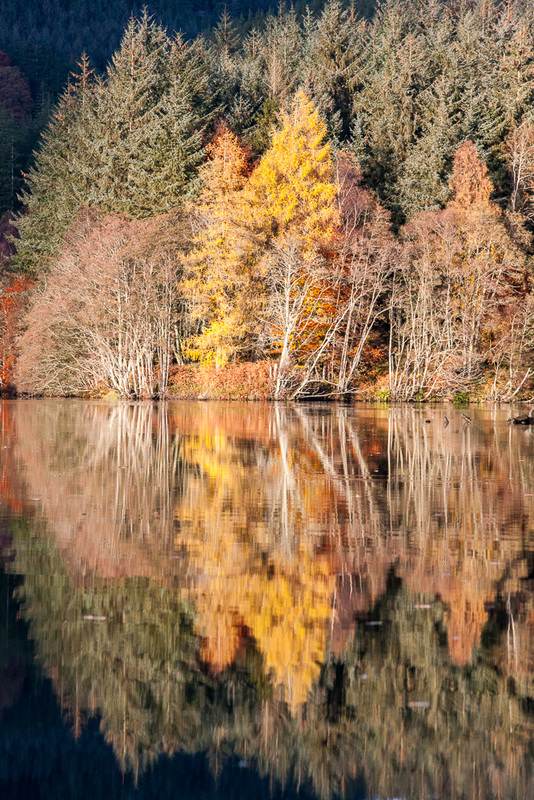 Every tree was sharply outlined, the scene perfectly reflected. 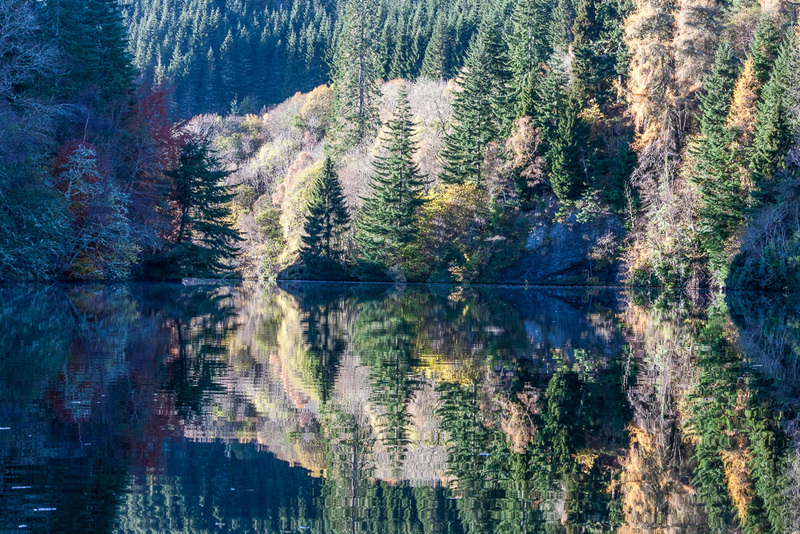 It reminded me strongly of an illustration from a children’s version of the Odyssey that I used to read and reread – low trees overhanging Charybdis’ pool, calm until Odysseus traversed it. I approached the strait slowly, less from fear of triggering a whirlpool than a desire to preserve the reflections while I made some more images. All stayed calm as I passed under the spruce spears and rounded the bend. 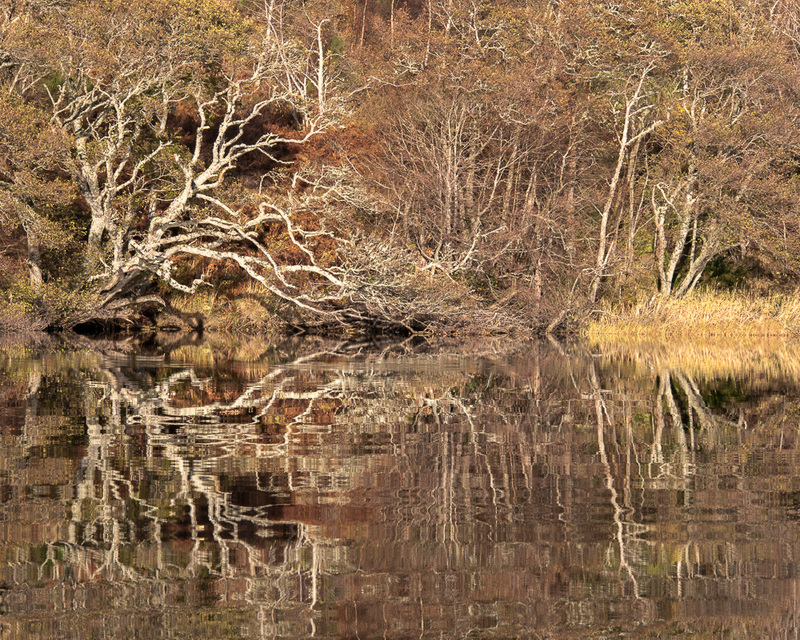 Visual delights still abounded on all sides as I made my way upstream towards the Crask of Aigas. 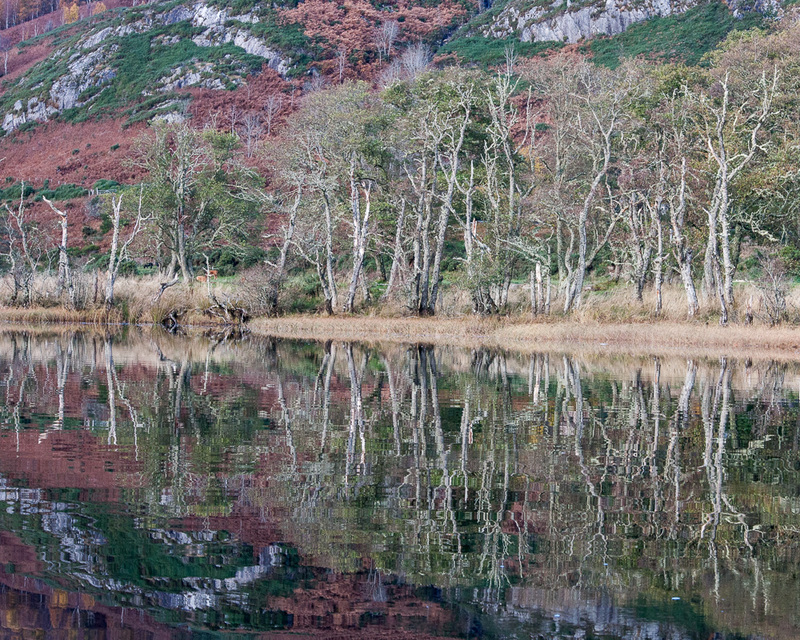 Somewhere above the crags on the east bank there was an ancient fort, marked as Dun Fionn, but that wasn’t visible from down on the water. Instead my eye was caught by a curious curve of birch leaves that seemed to require an answer, though to what I don’t know. 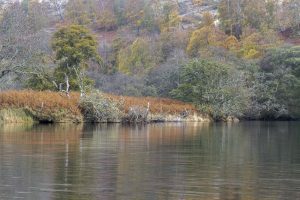 The north bank was densely wooded, tall beeches holding onto their ochre leaves, while birch had begun to lose their golden foliage. Dense green hollies and conifers set of the more flamboyant deciduous display. 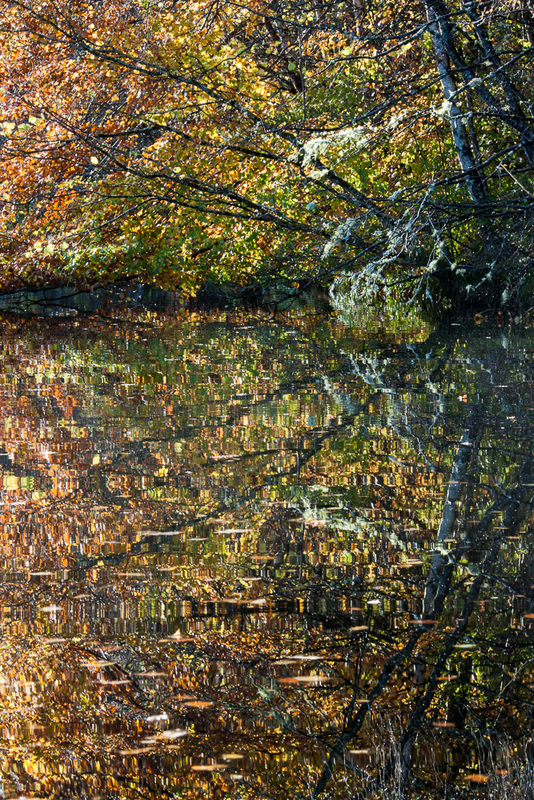 I made another image of reflected trees along this stretch, but while developing it back at home discovered a far stronger image hidden within it. 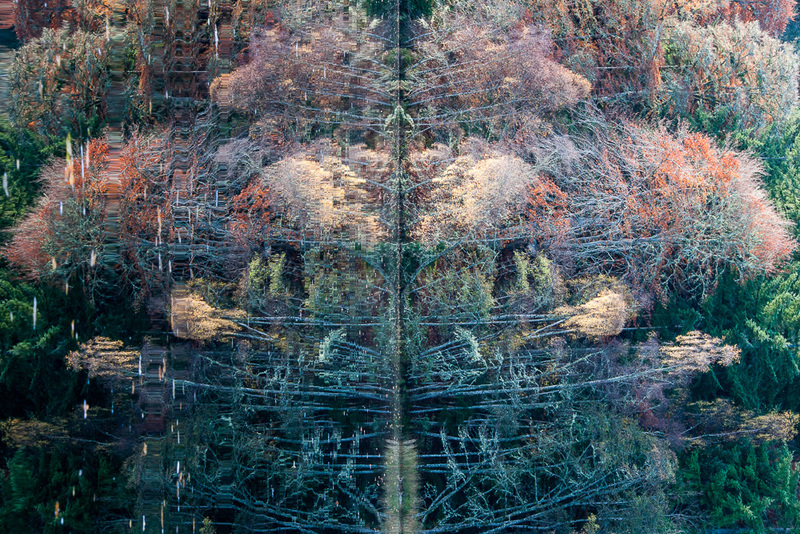 Turning the image through 90 degrees revealed a totemic figure lurking in the woods. I find this new image a bit unsettling. Like a Rorschach blot, it shifts and turns as I look at it, never quite the same. A spirit of wood and water perhaps? 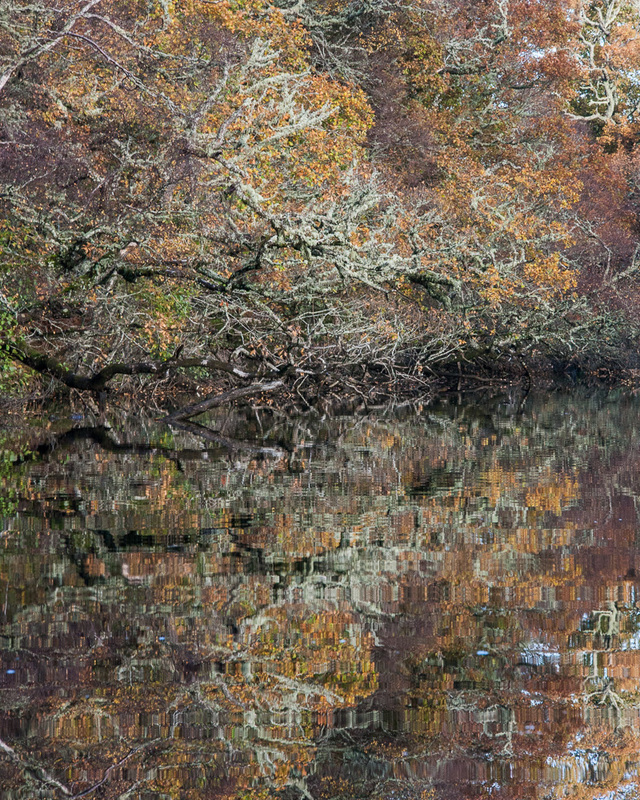 Coming up to the Crask of Aigas, away from the spirit realm, the river splits either side of the island. 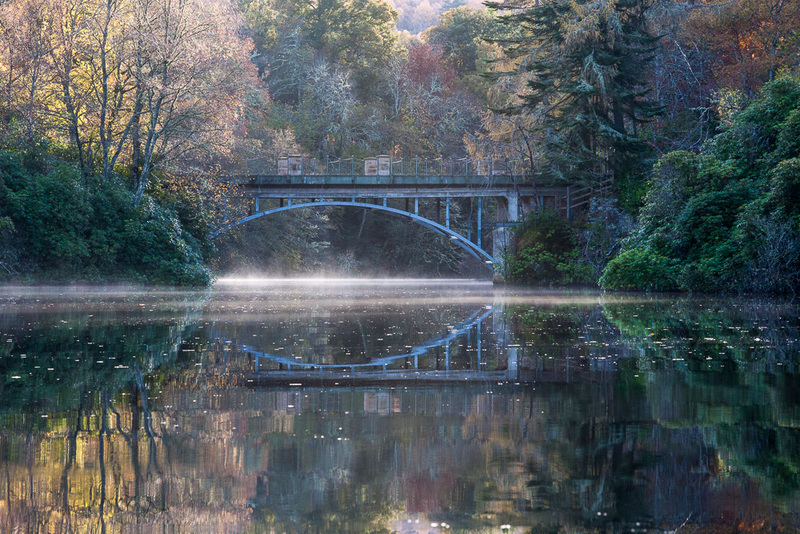 A bridge crossed from the east bank in an elegant span over breaths of mist, but the far channel looked more interesting to explore. I decided I would go west outbound, and return under the bridge. The current slowed again above the gorge, and I was able to make easy progress upstream. The river now sat in an open valley, with side views across a pastoral foreground to the hills beyond. An old oak was resplendent in autumn hues as I journeyed on. 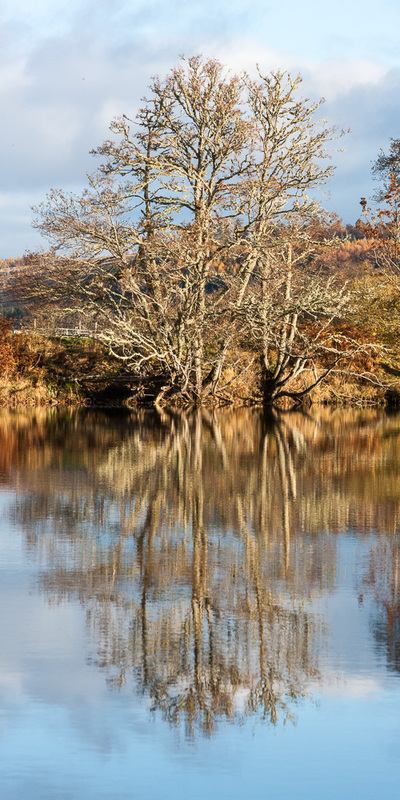 Above Eileann Aigas, the immediate surrounds of the river could have been in the south of England – with a manicured golf course on one side, and a pleasant riverside house on the other, but for the trio of whooper swans on the water ahead of me. As I moved on upstream, they took flight and headed off to quieter waters. The scenery became a little less formal as well, with pasture replacing lawns. 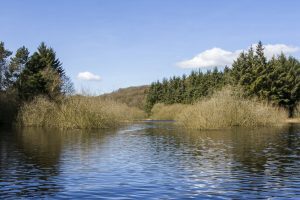 The river gently meandered over the flat floor of its valley as I headed further west towards the small settlement of Eskadale. 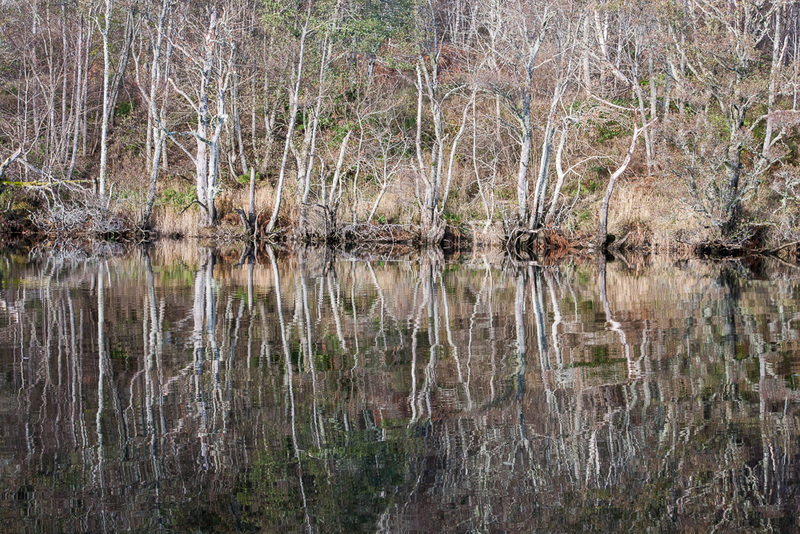 Here in the open, the waterside woods showed more of a winter palette. The hillside crowded close as I passed under Aigas quarry. 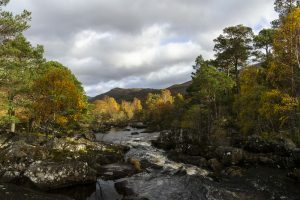 Bracken and gorse, both now dressed in their winter garb, climbed the crags above the river. 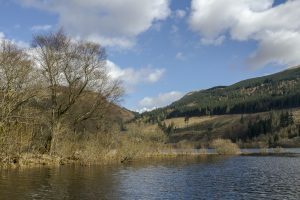 A straight reach of river lead me passed the Oldtown of Aigas – just a few houses between road and river now, but the map noted a dun and several hut circles on the hillside. Clearly the old town was considerably older than appearances suggested. 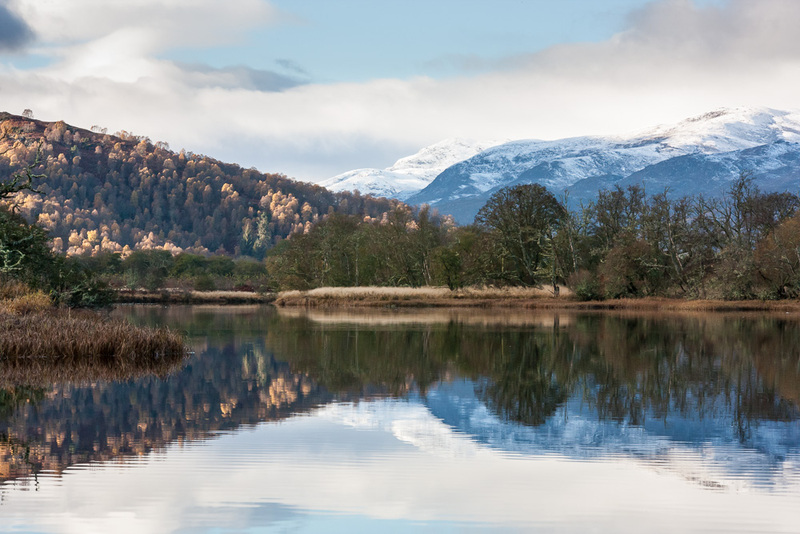 The river then widened into a large bow, and the distant snowy ridges between glens Strathfarrar and Cannich peeped over the horizon. 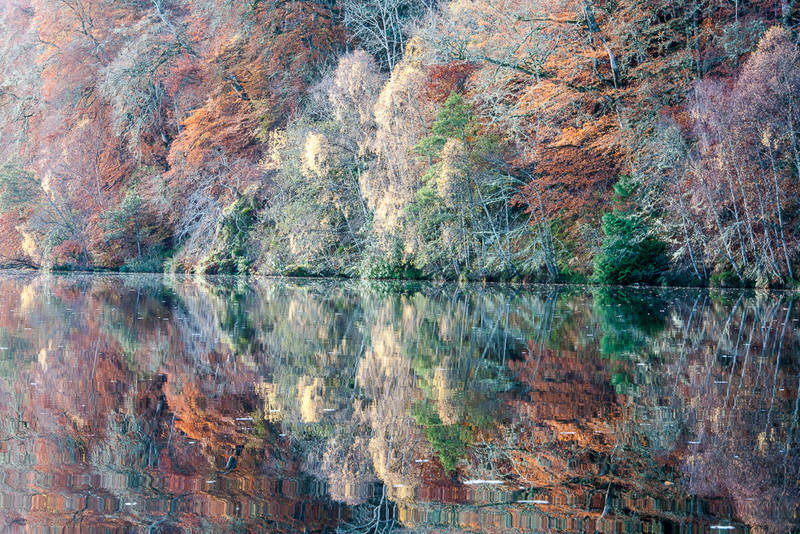 Before long though, the hillsides were close in to the river again, and the trees still held their autumn foliage. Gilded birches contrasted with the grey-green of the lichen-clad branches of oaks largely bare already. More meanders took me further upstream, and the high ridges of Beinn a Bhathaich Ard and Garbh-charn began to dominate the horizon. 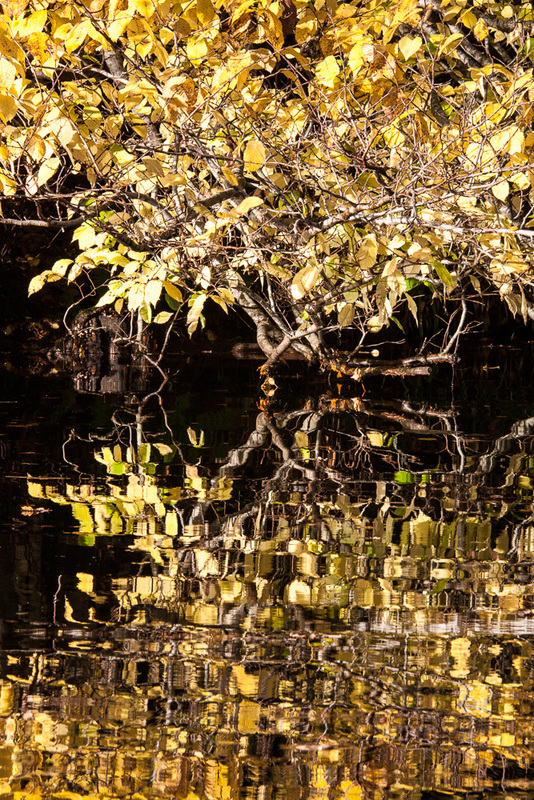 I stopped to enjoy the light slanting down across the trees, and the reflected landscape on the river. I had travelled upstream for quite some time now, covering about 9km or so from my put-in by the dam, and the current was beginning to make itself felt a bit more strongly. Consulting the map, I decided to aim for a small island in the river, just upstream of the delightfully named Knock-na-Shalavaig, a small farmstead on the north bank. 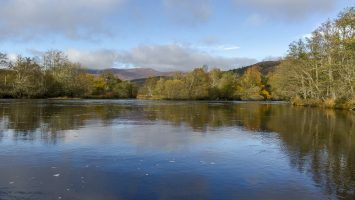 I was a few kilometres short of Struy, but having driven passed that section of river on my way out this morning, I knew that the current would be stronger still, and the river steeper. Better to stop now and conserve my energies for the return trip. I found a suitable spot to beach the canoe, and stopped for a spot of lunch in the sunshine. 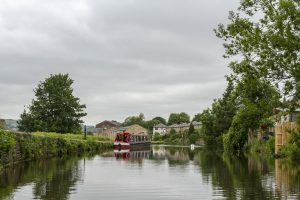 An out-and-back trip may give the impression of repetition, but in fact when paddling, I tend not to look behind me much, so on the return leg I was treated to a whole new perspective on the landscape I had journeyed through. Coupled with that, the light was now striking across the scene from behind me, fully lighting my subjects. This gave a very different look to any images I made. 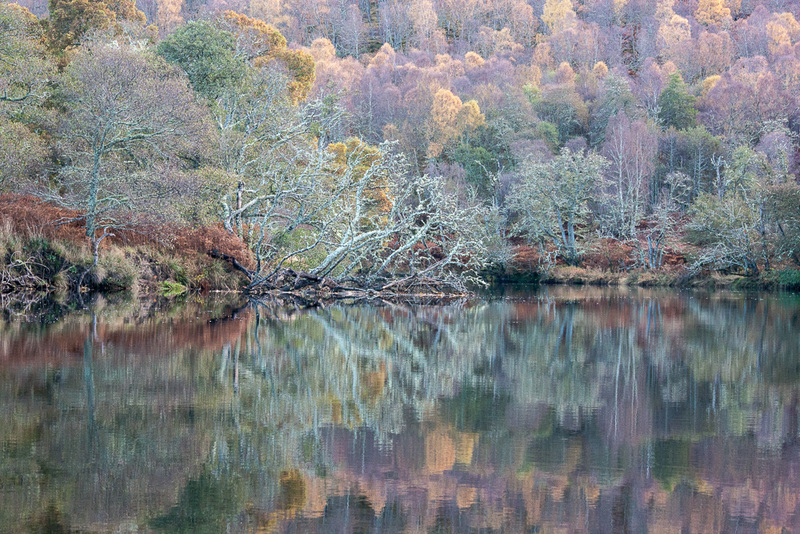 Re-entering the meanders, I was treated to a vista of autumn hues on all sides, above, and reflected below. 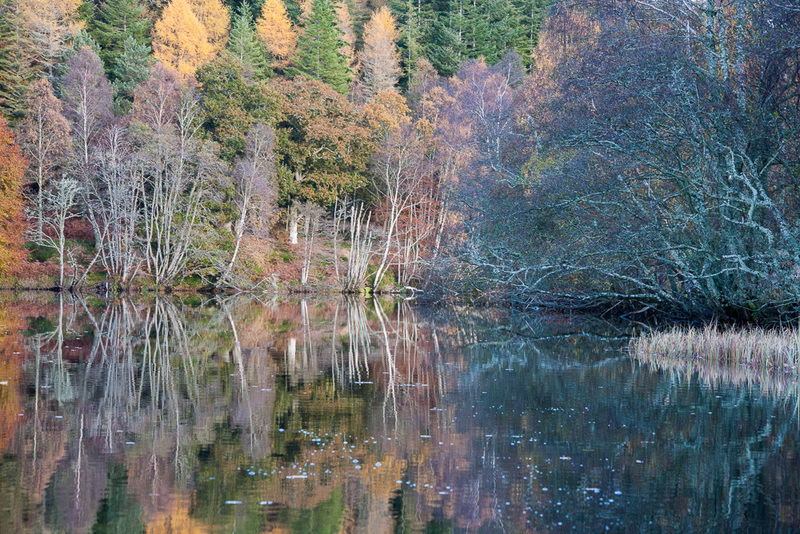 Once again, the strength of the light brought out strong colours in the trees and their reflections. 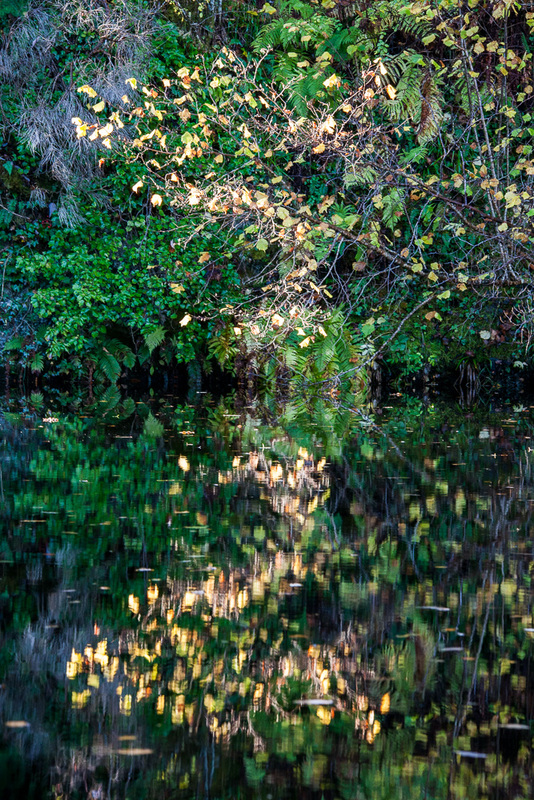 I amused myself making slightly more abstract images along the water’s edge as I drifted for a while with the current. The afternoon light kept improving. Where the river widened out in a lazy bend, I paused to take in the wider landscape to the west. 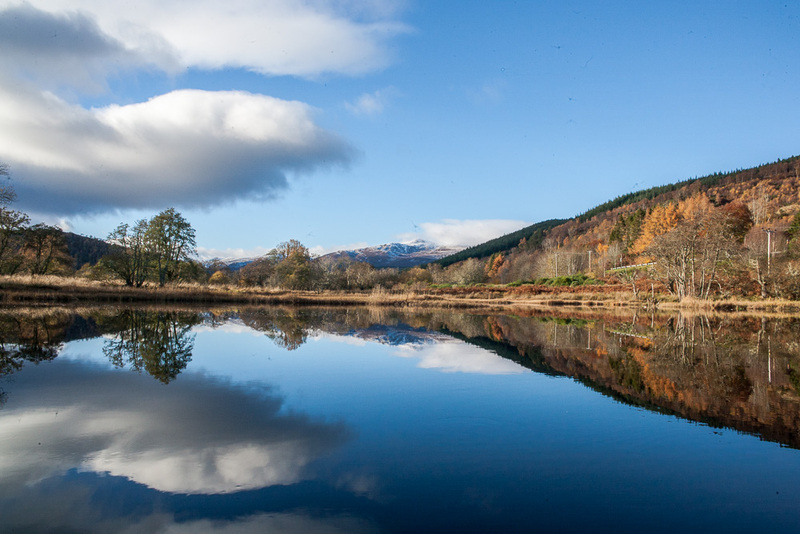 Blue sky, white cloud, snow-topped mountains and reflections – what could be better? 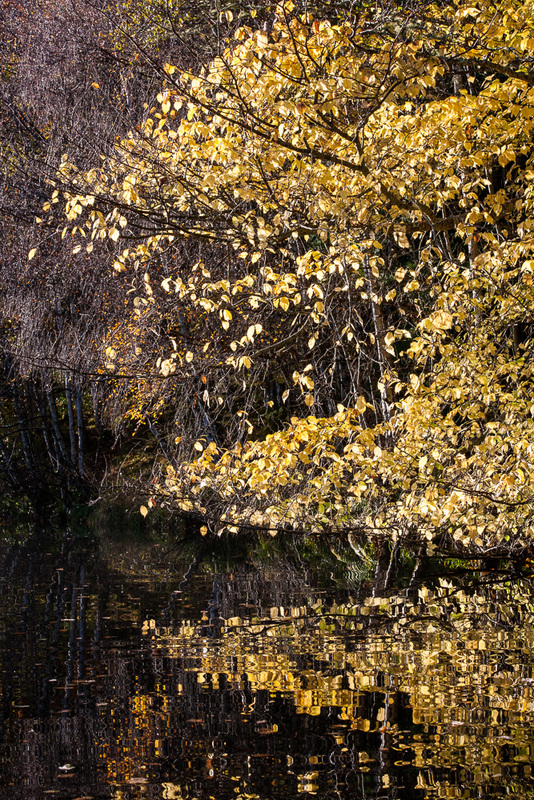 A blaze of sunlight lit the north bank, giving a yellow cast to the scene that warmed the reeds and the birch branches. A few seconds later a cloud passed in front of the sun, changing all to blue-grey shadows. 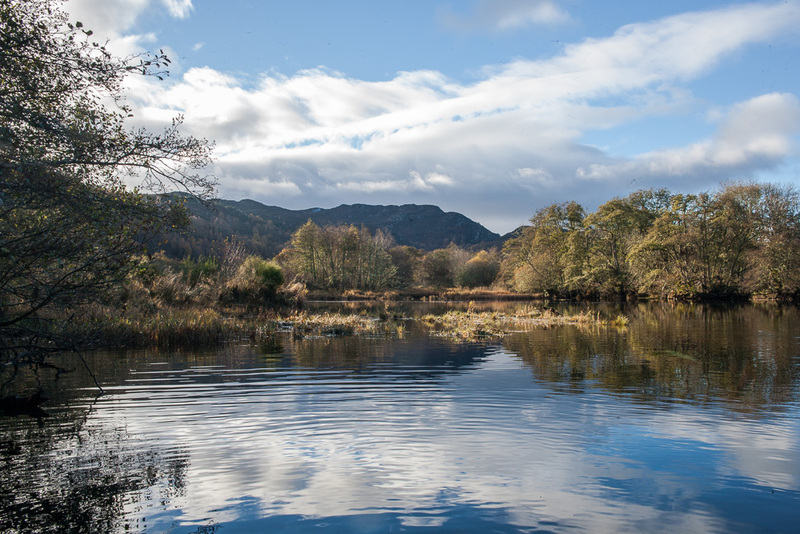 As I returned to the split in the river at Eileann Aigas, cloud shadows chased over the ground, giving alternating patches of light and shade. 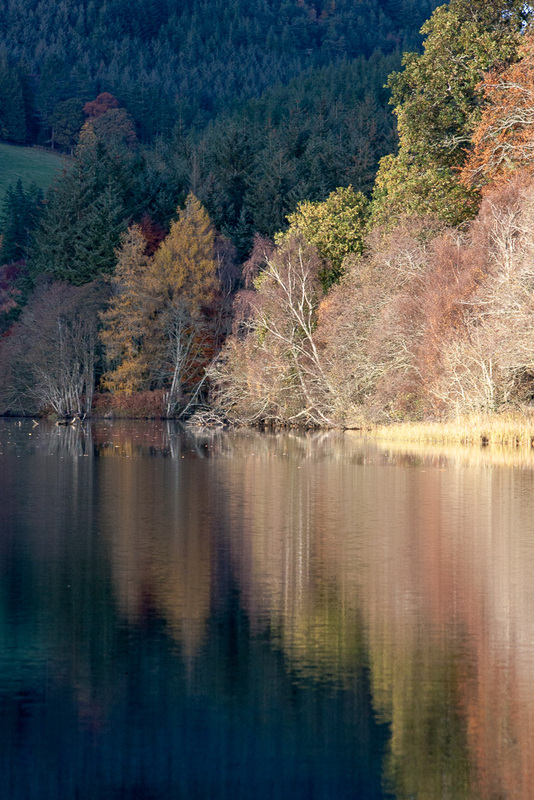 Pausing for a moment, I was able to catch the moment as the sun made the trees on the foreshore sing against the dark shadows of spruce on the valley sides. 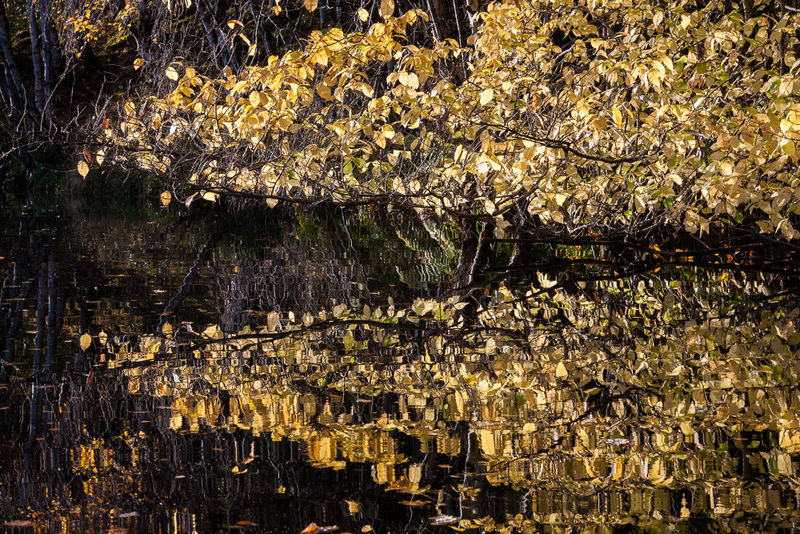 An intense spotlight of sunshine set the birches’ foliage ablaze. The effect was almost too strong – I actually toned the image down somewhat in post-processing to keep it looking real. Heading upstream, I had taken the west passage through a rocky defile. Returning, I sought out a gentler scene on the east channel. Riverside trees receded gently along green pasture, with cotton wool clouds reflected in a mercury surface. Once more I was struck by my luck. 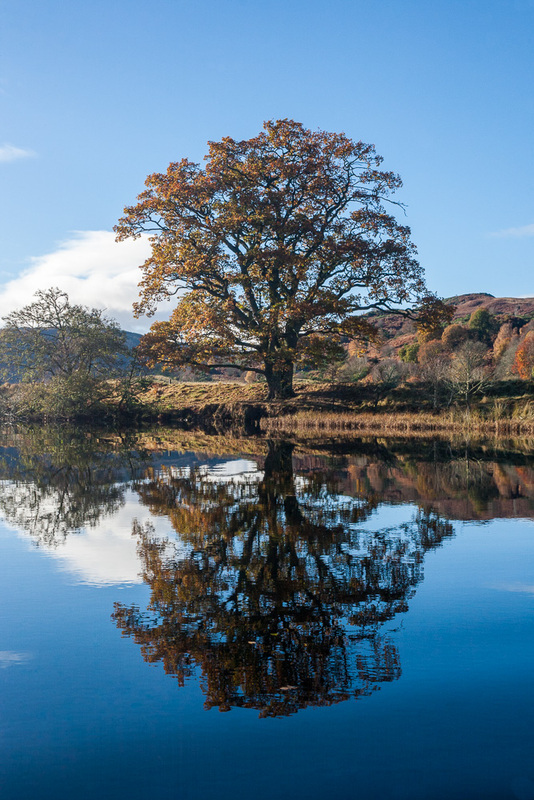 This day was extraordinary – perfect calm, intense autumn colour and a rare quality of light bringing out the best of the landscape. All too soon I was approaching the bridge over the east channel – nearly home. 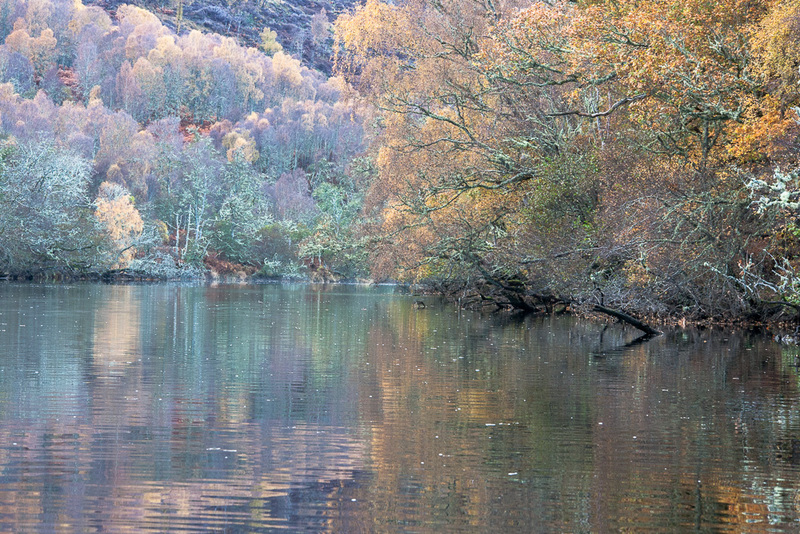 The steepening sides of the gorge beyond the bridge were blanketed in seasonal colour, and the increased flow in the narrow channel pushed me onwards. Round one last bend, and I would be back at the put-in by the dam. Skeins of mist still drifted over the water’s surface in the cool still air. I was reluctant to leave, but at the same time knew by the ache in knees and shoulders that the day was done. It had been beyond any expectation, an experience that at times left me without words to describe it to myself. Just editing the many images I made in the course of my journey has taken weeks. Sorting the best from the rest is usually quite straightforward, but on this day so much of what I saw was already superlative. I can only hope the images I have included do justice to a very special day. Brill blog. Found you by complete accident. Thanks very much Pedro. 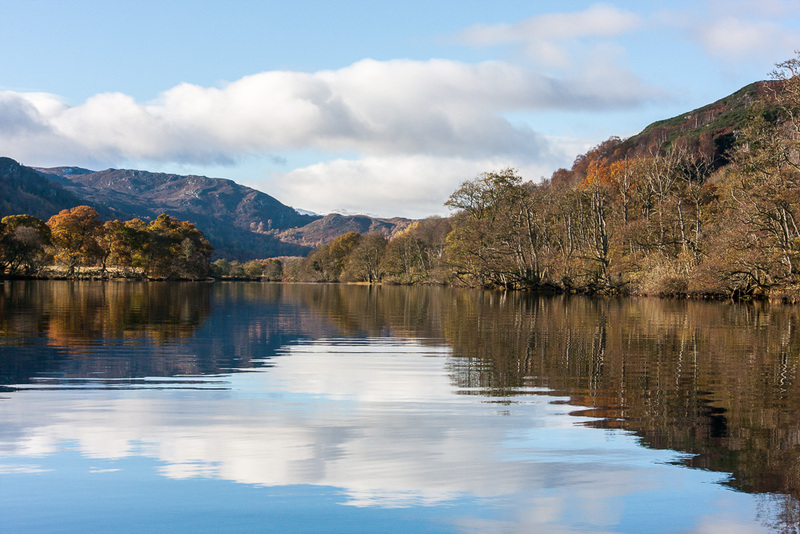 Are you a paddler and/or photographer yourself? With more than thirty years of paddling and at least a decade of landscape photography behind me, it was only a matter of time before these two passions combined. 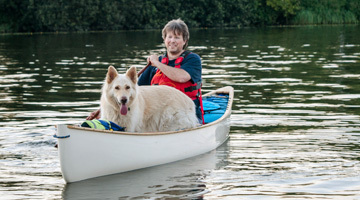 This blog is about my adventures with canoe and camera, a photographer afloat.